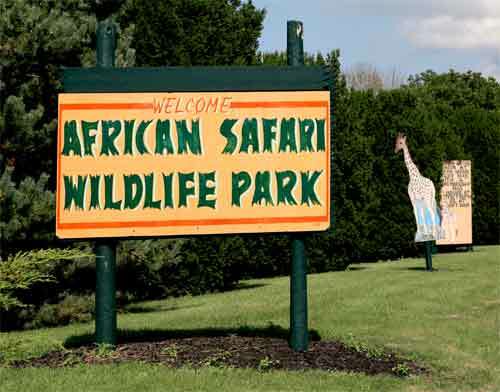 Located not far from the shores of Lake Erie is the African Safari Wildlife Park, which is a featured drive-thru safari type park with plenty of animals that will come right up to your car. There are no dangerous (man-eaters) in the park, but there are quite a few animals with long tongues that might give your vehicle a good slobbering though! 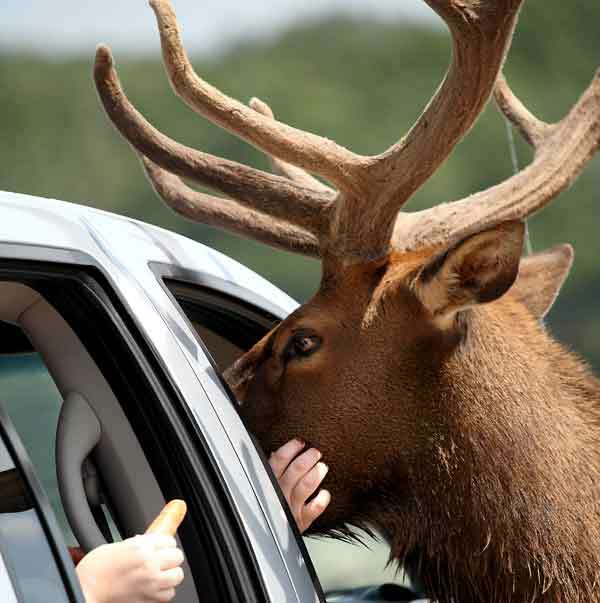 The park is divided into 3 areas: the drive-thru section where you can see plenty of 4-legged creatures, all of which you're given the opportunity of feeding from your car with a cup of food provided with your admission (additional food is available for an extra charge). Some of the animals are considered "Endangered Species" but for the most part, they are not, especially on the drive-thru section. The other main section is a small zoo with a comfortable path that meanders in and around the cages. 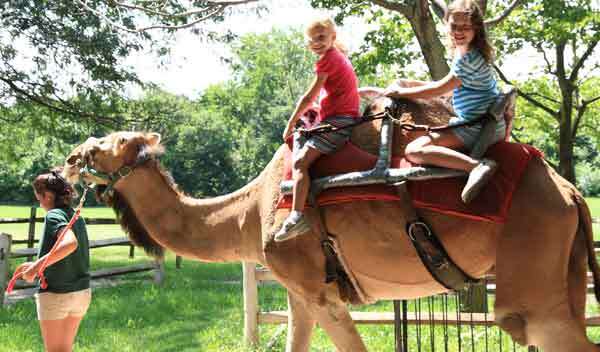 Included in this area are several animal opportunities where children can take a ride. 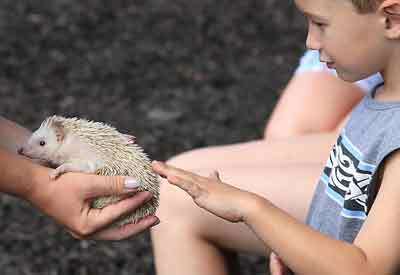 There is also an interesting educational program where several animals are presented in an informative way and the kids can pet. The other part of the park is more suited to a county fair and that is the pig races. Although they are entertaining and drew a large crowd, it seemed entirely out of place for an African Safari Wildlife park. Even so, it was fun to watch the kids cheer on for their assigned swine. The park includes the usual gift shop plus cafe serving fast-food items, plus a good tasting ice cream parlor with plenty of outdoor seating for casual dining under the trees. 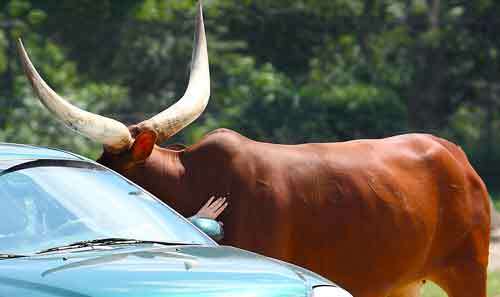 It must be remembered that you will be driving your vehicle through an area where there are some very large animals coming in close contact with you and your expensive vehicle. You are responsible for personal injuries or vehicle damage. Visitors are reminded that they are entering the area at their own risk. Prices vary with the number of people inside the vehicle. Some special admission rates include all the occupants. Discounts are published online and in various publications. Even without these coupons, zoo memberships and other organizations (i.e. AAA) will also earn you a steep discount. The park is located just east of Port Clinton and about 20 minutes west of Cedar Point. This is a great place that even the most jaded person will enjoy. Despite some of the hokey things going on, it is really a good time that will surprise you. The kids will REALLY like it! 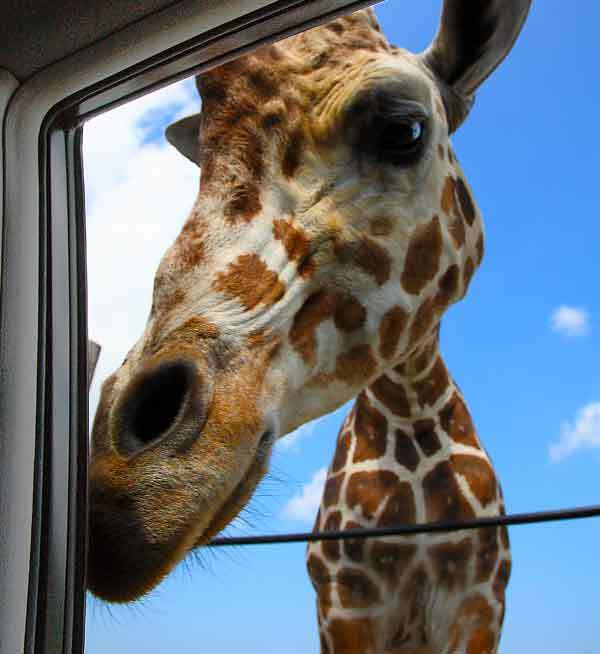 I mean, where else can you have a 2,000 pound animal try to stick its head through your window?